This is the Mac OS X 10th version launched in 2010 and announced in the 20th October Apple event. 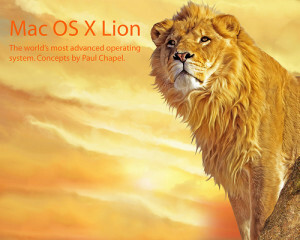 The iPad meets the Apple Mac OS Lion which is the main idea behind this OS. The above are the features which Apple is offering through the iOS devices like Apple iPad and now is planning to integrate all of this onto the Mac based computers. Mac Apps Store : Hence there would be a Mac iStore where in you can automatically update apps, automatically install the same and all of these would be licensed to be used on all of your personal macs. Mission Control would allow you to navigate instantly through any place on your Mac.